Dimming your 12V Tresco LED lights from a wall dimmer? This 60W Hardwire Power Supply is what you need! 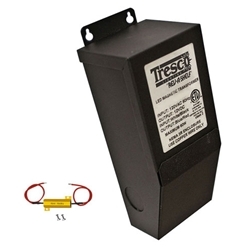 Class 2 rated and ETL safety listed magnetic transformer.